Plushies Version 1, San-X designed another set of wedding plushies. These gorgeous babies will be released in Japan on 25th April 2015. 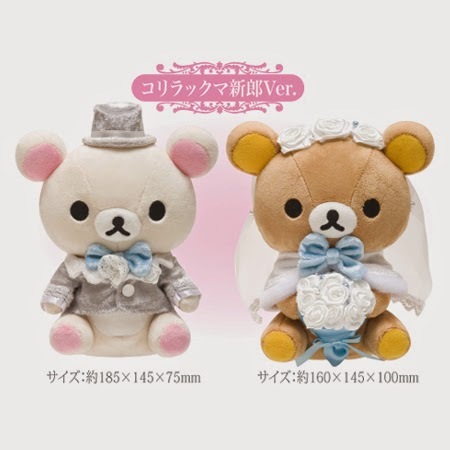 If you are travelling to Japan during this period for some Sakura viewing or also known as Hanami, you might be able to grab one of these in the Rilakkuma Stores. And for those who are not living in Japan or travelling to the lovely country, you can consider getting them from us! Click on the links above to make the purchase. But do note that this is a pre-order, therefore the items will only be mailed out 1-2 months after the release date. We will not be restocking these items as they are limited editions and they will no longer be in production unless otherwise stated. 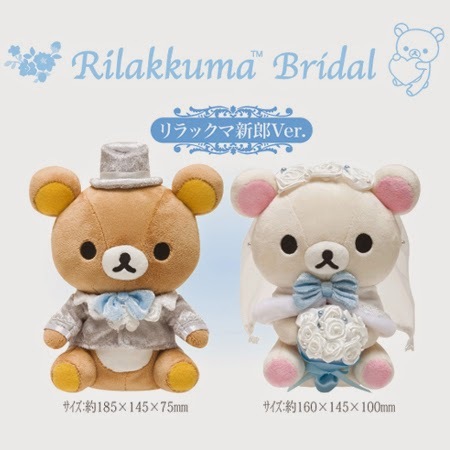 Visit Rilakkuma Shop for more Rilakkuma & friends items today!